Whether you are working a lawn mowing business, or just taking care of necessary yardwork around the house, thousands of Oklahomans work outdoors during the week. As every Tulsa lawn worker can attest to, Oklahoma’s summer heat is brutal. It’s more than physically taxing, though; it’s very dangerous. If you aren’t careful, you might end up needing a trip to the hospital. The question is, how do you stay safe working in the heat? Your personal safety while working heat is highly affected by two factors: what state your health is in and what kind of activity is being performed. Overweight or obese people tend to have a harder time in hot weather, and even collapse easier than people who weigh less. Illness, too can affect your performance. All of this depends, though, on what lawn work you’re doing. While problems can still easily arise from less strenuous activity, more physically intensive ultimately will take a much harder toll on your body in extreme heat. If you don’t think you’re in good condition to perform strenuous lawn maintenance, contact a Tulsa lawn company to take care of it. Even in extreme heat, however, your body will fight to keep you at a normal temperature of 98.6 degrees. It becomes far more difficult for your body to cool itself off, however, when the outdoor temperature is hotter than optimal body temperature. Sweating releases heat and lowers temperature, but only with low humidity. Otherwise, your sweat can’t evaporate to cool you down. Your body needs liquid to sweat, and if you lose more water than you drink, you become dehydrated. How Do I Stay Safe Working in Extreme Heat? Take breaks in the shade occasionally, so you can cool down before returning to your work. If you are unable to take these precautions, then don’t risk it. Wait for a more temperate day, because it isn’t worth your health or life to do lawn work. Physical labor in the heat of an Oklahoma summer is hard work. If you follow this advice and watch for signs of dehydration, then you’ll be all right working in the heat. 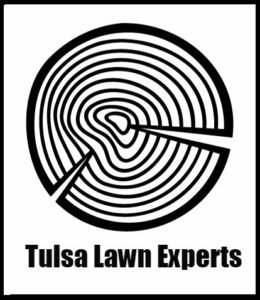 If you want to remain safe this summer and keep out of the heat, contact a Tulsa lawn service near you.